Arnold shall rock the show as the host and will keep the contestants in good spirits! Time of Birth :- 04.10 A.M.
Transiting Jupiter will be aspecting Arnold Schwarzenegger's Natal Moon posited in the 7th House in his Natal Chart, till 11th August, 2016. Saturn will be transiting over his Natal Ketu in the 6th House. It will be aspecting his Mars and Rahu posited in the 12th House till January, 2017 in his Chart. Arnold will be under the influence of Jupiter major period and sub period of Mercury till 17th January, 2017. Considering the planetary influences as mentioned above and their effects on the planets of the Natal Chart, Ganesha is very optimistic about Arnold being able to host the show in a smart and a stylish way! He would be able to keep the show alive using his public image, charisma, vibrant personality and his characteristic elan! Audience will admire him for his performance. He will be able to keep the participants well-engaged and in good spirits. He would successfully be able to continue hosting the show at least till January 2017, feels Ganesha. 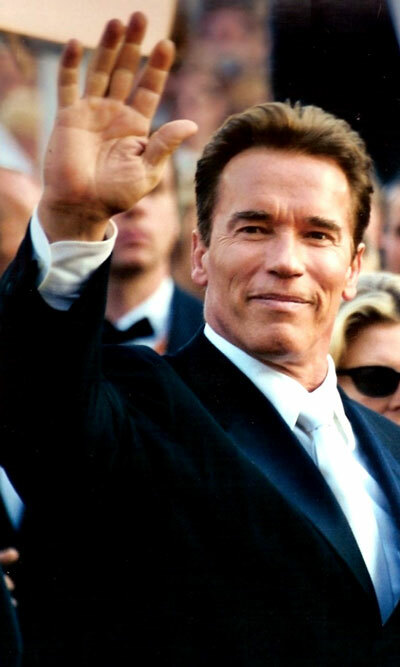 Ganesha wishes great luck to Arnold Schwarzenegger for hosting the NBC's The Celebrity Apprentice Seasons - 8.